Rockville Centre's Premiere Cycle Studio located in the heart of Rockville Centre. Come experience the Real Ryder difference. Click here to visit The Field. The only local massage studio to focus solely on therapeutic massage. With the highly trained Licensed Massage Therapists at Elements, we feel confident that you will find massage is a great compliment to your fitness goals. As an active member of Sportset, you are invited to have a complimentary 30-minute massage at Elements! Just stop by the desk to get your FREE MASSAGE certificate. 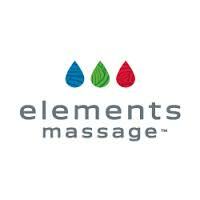 Click here to visit Elements Massage.